A lot of considerations, such as the brand and trademark, shall be taken when purchasing the European-style vintage chandelier, because the price difference between different chandeliers is big. 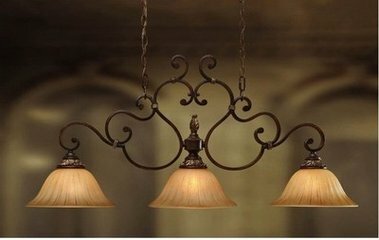 For European-style vintage chandelier, it is better to choose the well-known brands which generally have relevant brand trademarks to prevent fake products. Therefore, the brand must be clearly identified when selecting. Another point is to learn about the specifications of the European-style vintage chandelier, because the specifications and uniformity of the crystal lamp matter a lot. The reason why it looks so dazzling and eye-catching and shows gorgeous and noble atmosphere is because the lights and decorations play important roles. In addition, when purchasing, it is better to ensure that the style will not be much different, because it is found that many manufacturers will harm the interest of consumers in order to gain benefits. In such case, consumers have to learn how to guarantee their own rights. You can also directly consult some experienced people for purchasing European-style vintage chandelier. It is also helpful that a lot of people have posted relevant purchasing experiences online. If possible, you can also read some relevant instructions to help you make choice.